In 1963 , a number of leading Greek travel agents have decided to join forces and create a sightseeing operator with the purpose of organizing quality sightseeing tours and cruises, on a daily or weekly basis. Over the years it has been organizing excursions for hundreds of Greek and foreign tour operators. Initially on an office at Athens’ main Syntagma (Constitution) Square, Key Tours moved in 1991 to a spacious terminal and office building opposite the Temple of Olympian Zeus, where it is still based today. Today, Key Tours is still owned by some of its founders that include major Greek travel agencies. Also, since its foundation in the 1960s, it has been an Exclusive Supplier of sightseeing tours and excursions to American Express International and Carlson Wagonlit Travel. 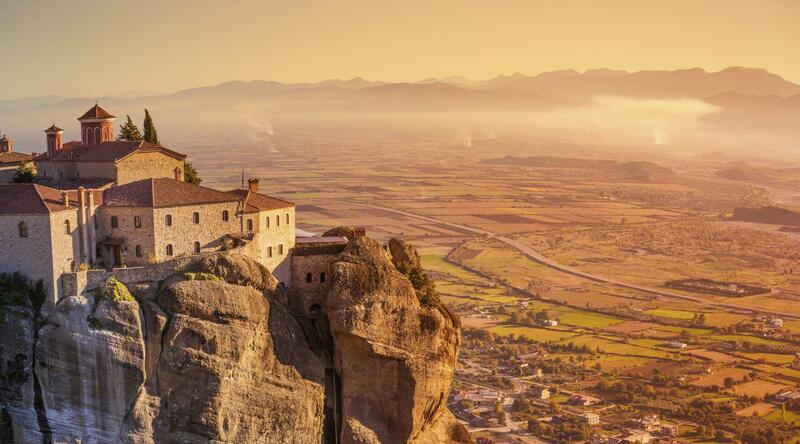 It serves annually over 60.000 visitors to Greece, by organizing 20 scheduled excursions and numerous other tours on a private/tailor-made basis. Key Tours distributed its tours via 500 contracted agents and approx. 100 hotel front desks. The company operates 7 days a week, for 16 hours a day and has nine full-time staff. It also operates a modern reservation system that enables its staff to view availability and book while on the phone.It is currently building a state-of-the-art website that would enable agents and individual customers to book tours on a 24hour basis. Key Tours main goal is to offer, except its own organised tours, similar tours all over Greece organised by selected local suppliers following our idea of quality, value and high-standard tours and make you feel like being a unique traveller unravel the fascination of Greece and why not to other countries too. Special emphasis is given to quality service standards. Key Tours uses luxury air-conditioned coaches with friendly drivers, carefully selected multi-lingual tour guides and a variety of modern or traditional hotels in Athens or the mainland. Most of its clients, partners, suppliers and employees have been working with the company for several years, a few of them even for several decades! Visited lots of great historical sites and the guide was friendly and knew loads about the areas we went to. Tour was fantastic, only thing I can fault is I think some earlier starts might have made things even better. Covered a lot in four days. Very informative. George the driver and Thanasis tour guide were excellent.